It may or may not be fair but, people often judge you based on past behavior and not the reality of the situation. When Oldest Girl was in first grade sometimes I would join her class for lunchtime. 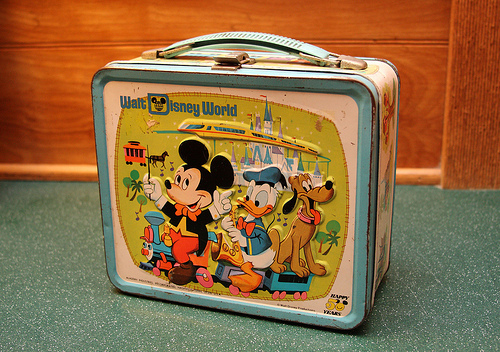 It always brought me back to my childhood to see all the children in a line walking down the hallway swinging their lunch boxes. Oldest Girl was a model first grader in a class full of rowdy boys. She found it easy to sit quietly and follow directions and she genuinely desired to please the teacher. (This made it very easy for me to be smug about my parenting skills until Imagination Boy started school, but that's another story). On this particular day as the children walked down the hall Oldest Girl was behind a little boy who was not following all the rules of proper line walking behavior. He was skipping and weaving and talking and laughing. So Oldest Girl took her lunchbox and hauled off and whacked him on the head with it. Hard. Then she just kept walking as if nothing had happened. "Teacher" he cried, "Oldest Girl just hit me on the head with her lunchbox. Hard"
The teacher looked at him in disbelief. "Oldest Girl would never do anything like that. Stop making things up and get back into line." The boy gave up and got back into line. Oldest Girl smiled and enjoyed her lunch. You will get judged on your reputation whether it is fair or not. If you generally do the right thing people will expect you to be doing the right thing and will usually give you the benefit of the doubt. If you generally do the wrong thing, they will assume negative behavior even when none exists.